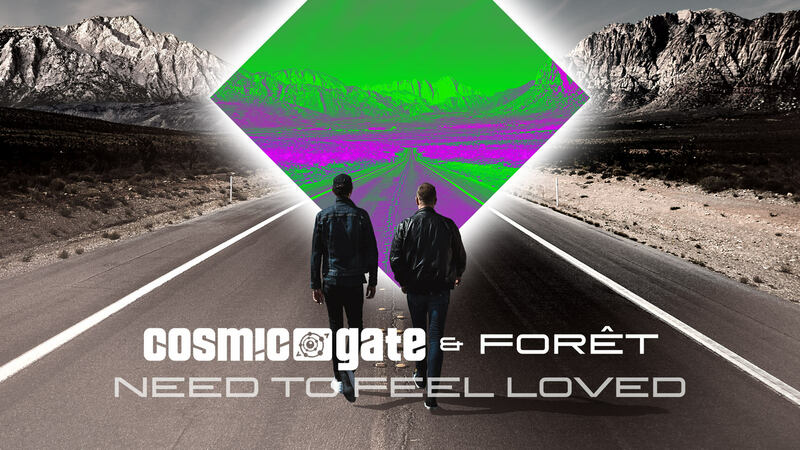 First they woke your mind… now START TO FEEL! 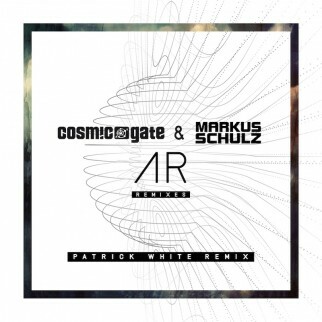 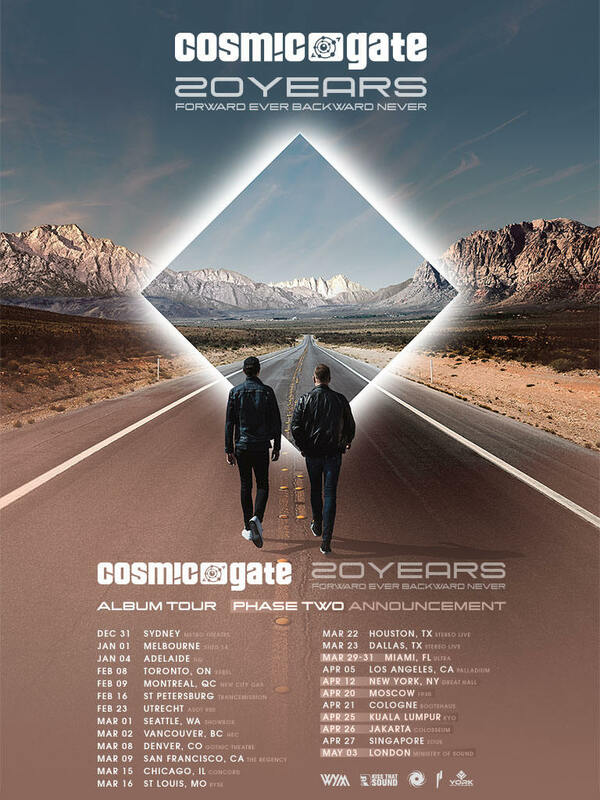 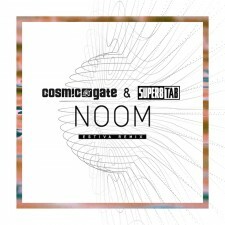 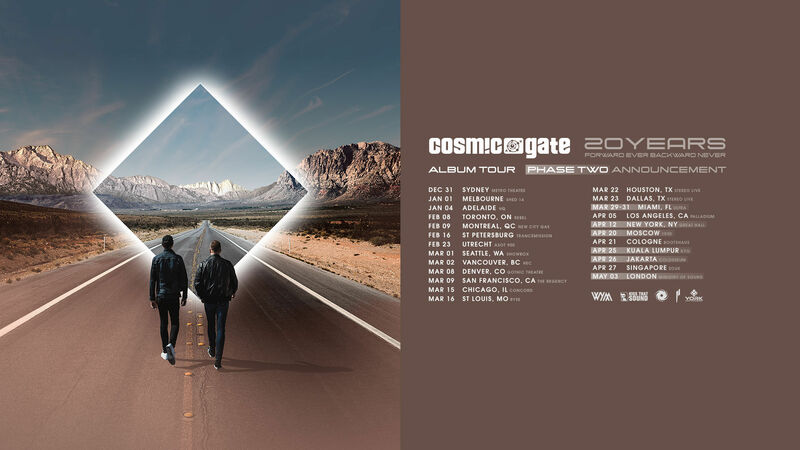 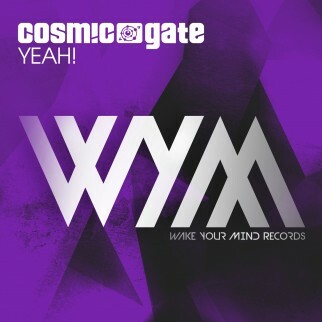 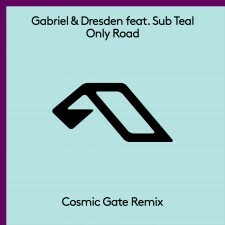 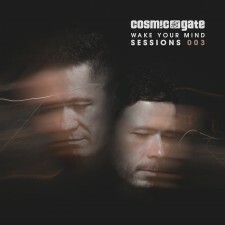 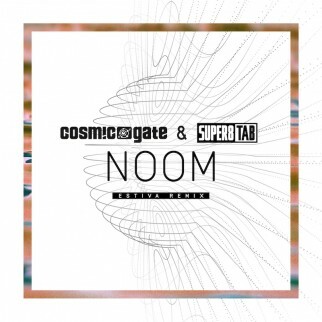 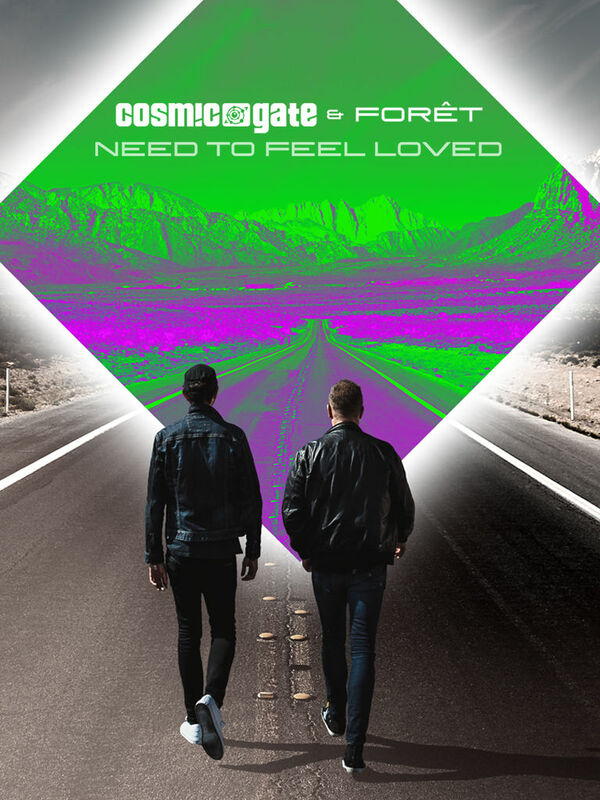 From Cosmic Gate’s very first drumbeat through to ‘Start to Feel’ - their new convention-challenging long-player - they’ve proved to be the perfect alliance of musical minds. A by-chance meeting in a Cologne recording studio in the late-nineties set Nic Chagall and Bossi on the course to becoming Germany’s most successful and enduring electronic music duo. 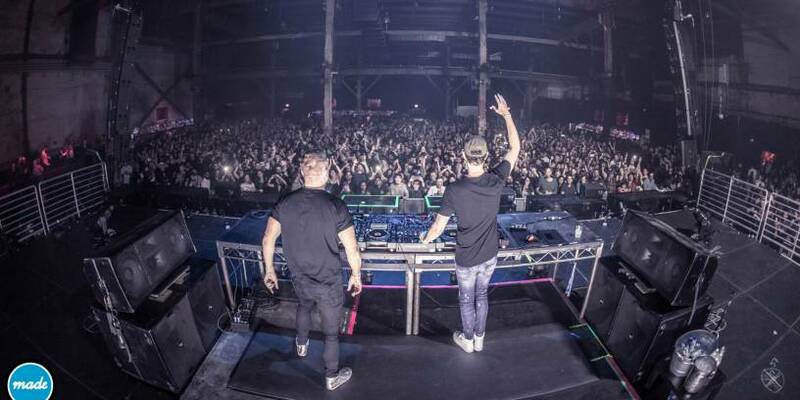 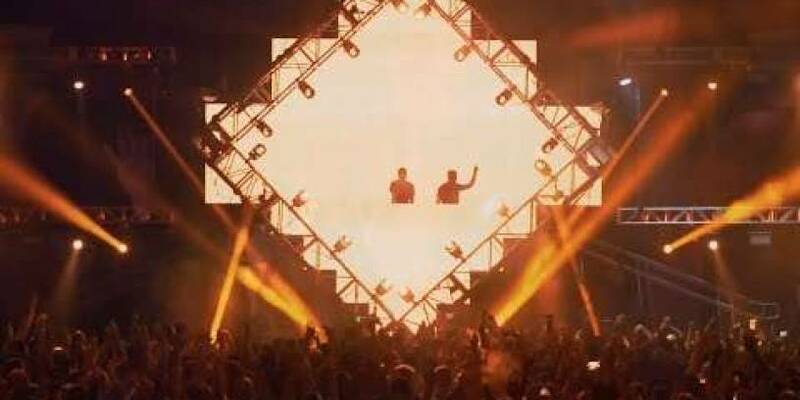 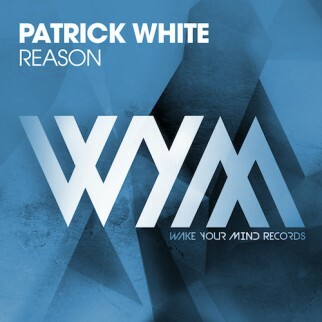 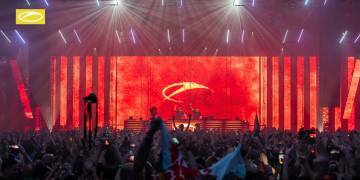 Their original productions have thrust them to the highest reaches of download charts & streaming lists, whilst their remixography has included everyone from scene legends like Armin van Buuren to revered Hollywood composers like James ‘Avatar’ Horner. 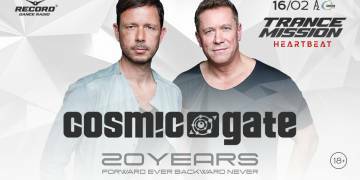 Relive our 20 Years set at Trancemission St Petersburg on Soundcloud now. 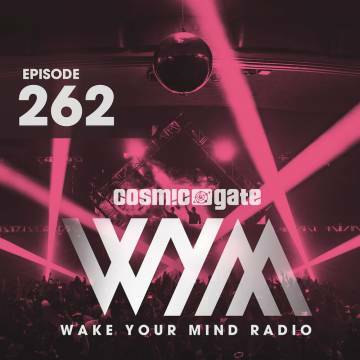 A 2 hours set including our biggest singles and remixes from 1999-2019. Enjoy!